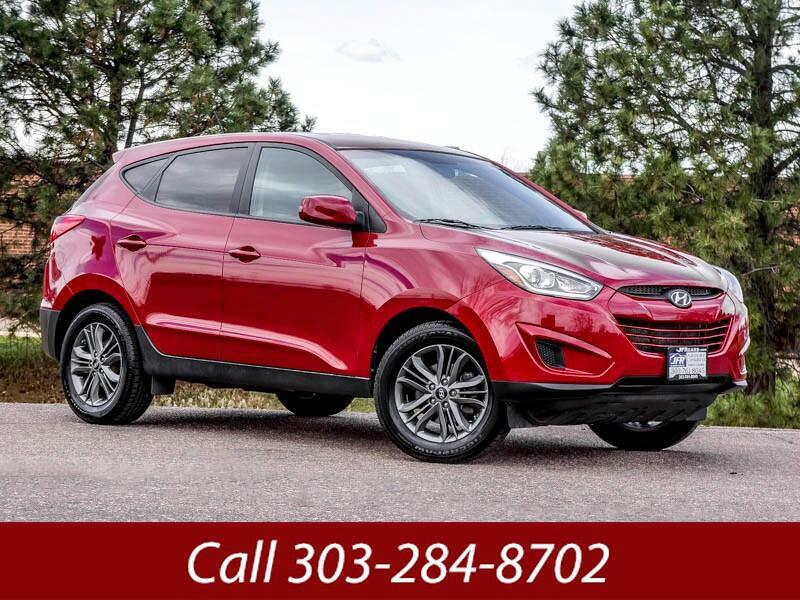 Used 2015 Hyundai Tucson Limited AWD for Sale in Littleton CO 80120 JFR & Associates, Inc. This lower mileage, affordable Hyundai Tucson offers comfortable seats, smooth ride quality, a pleasing blend of maneuverability and fashion. You'll appreciate how easy this SUV is to park in tight spaces and get around town in. Affordable: YES. This Tucson is priced $1,400 below market value. The cabin offers a stylish look and feel to it and it comes with a sleek dashboard. The controls are well-designed and easy to use. This Tucson comes with a variety of options like Bluetooth integration, keyless entry, CD player, deep tinted glass (good for reflecting hot summer sun), heated front seats, rear spoiler, second row folding seat, tilt wheel, plus lots more to make your driving experience more pleasurable. You are cordially invited to take this Tucson for a test drive and discover for yourself why this SUV is so popular. Contact us today and schedule a test drive. You'll be glad you did.